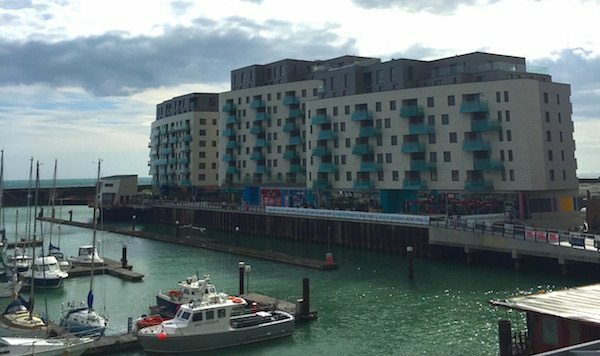 All the Brighton Marina Restaurants – Where to go? Just a short distance away from Brighton and Hove is the Brighton Marina Waterfront complex which has the potential to satisfy all taste buds as it has restaurants, food, and markets from all corners of the globe. One of the advantages of Brighton Marina restaurants is the free parking, 24 hour public transport and the great back drop of the Marina itself make it great for exploring in all weather. It has recently had a huge £250 million redevelopment with more apartments and numerous chain restaurants being added to the area. Combine your visit with a walk along the harbour walls, diving, sailing, a trip to the cinema, bowling and much more. *Please check specific details for all venues as opening times, contact numbers and menus are subject to change. This is the Restaurants Brighton guide to the Brighton Marina restaurants. 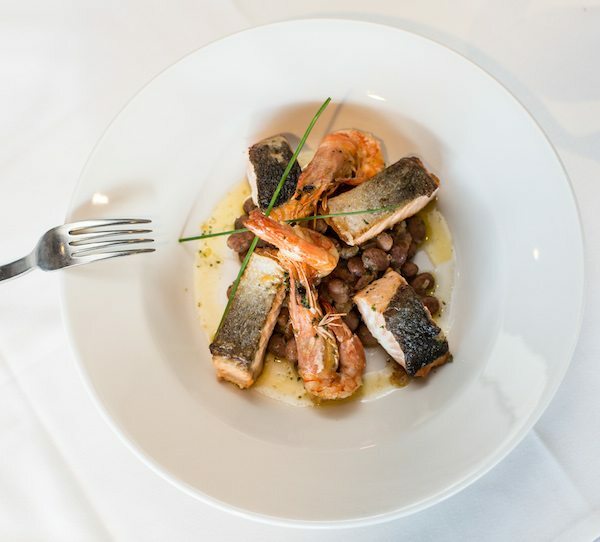 Located at the Malmaison hotel at Brighton’s Marina, Chez Mal serves classic dishes with flare and skill, mixing French style with generous British portion sizes and modern American and Asian influences. Enjoy New York Strip Steaks with their homemade steak sauce or a whole host of delicious dishes including breakfast, lunch and afternoon teas in the chic modern brasserie. 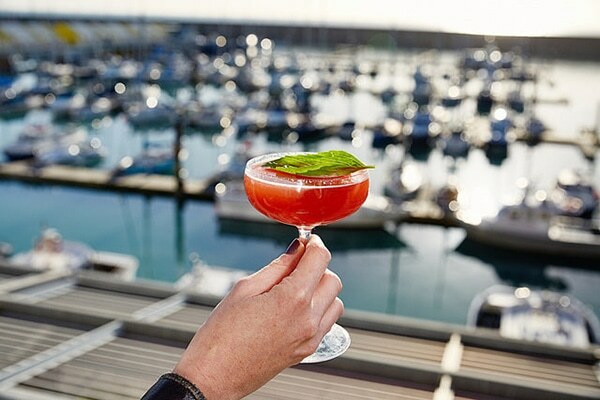 Whatever you go to Malmaison for, be it the food, drink or you’re staying in one of their rooms, you can enjoy the views and take in the sea breeze. Dine alfresco style on the ship-shaped terrace or try their conservatory with floor to ceiling glass windows while you sip on a delicious cocktail! 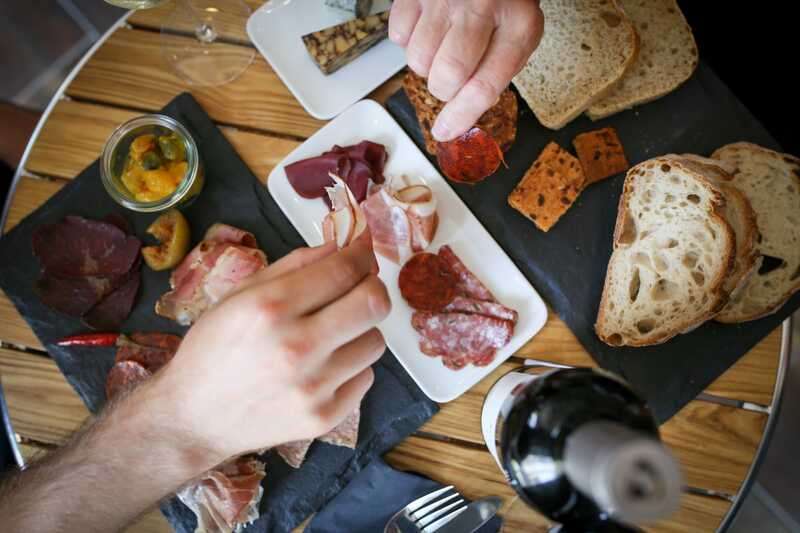 Serving the best of British produce, the GB Charcuterie is the perfect spot to enjoy a glass of wine and a charcuterie platter, with everything being sourced from the UKs leading farmers and food suppliers. Not only can you eat alfresco style, you can purchase whatever you’ve eaten to make at home, share with friends or give as a gift. There’s an abundant supply of artisan meats, cheeses, wine & accompaniments such as pate & chutneys at GB Charcuterie which you can also buy online. Cherry tree is a new independent café in 2016 and one which we adore. 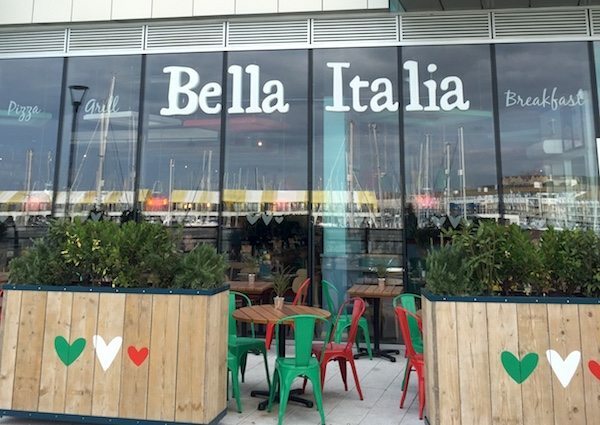 Situated in the inner harbour at Brighton Marina with a lovely warm atmosphere and lots of sun-drenched outside seating. 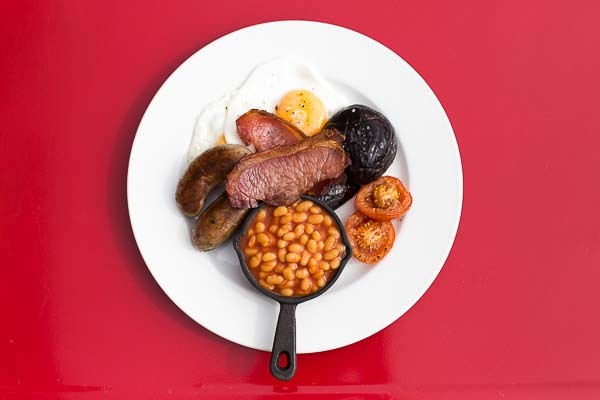 Offering breakfast, brunch and lunch away from the hustle and bustle. Owner Gabi and chef Tom have created a fresh feeling breakfast menu offering classics cooked with precision and care. Sandwiches and other savoury snacks as well as beautiful salads are made fresh daily. The dining experience at the Waterside is very laid back and is dedicated to gastro classics with a modern twist. The venue is also located within the Rendezvous Casino in Brighton which means that you can have all the excitement of live gaming within the same room, adding a bit of ‘Dinner in Vegas‘ to your evening. If you love a good steak, you’ll be knocked out by their sensational menu. With four different cuts to choose from, you can be sure of total steak satisfaction! Coast to Coast is an American style restaurant and bar which brings you the American style experience, using fabulous ingredients, service the American way and a complete dining experience. 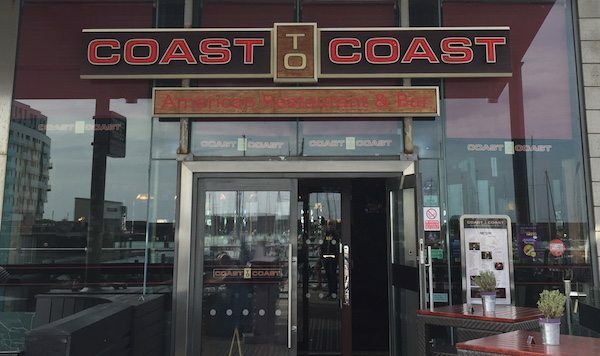 Coast to Coast in Brighton Marina is also one of the launch locations for this successful national chain restaurant. 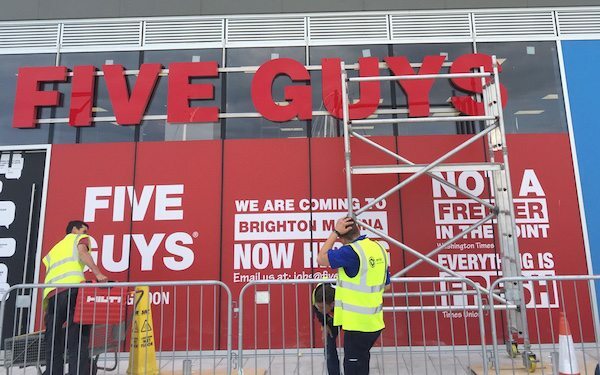 Expect big burgers, finger lickin chicken, plenty of sport and an Americanised style venue. French Chain bistro for classics from croque-monsieurs to mussels in a retro Parisian setting. Café Rouge also has a second restaurant in Brighton centre. Great Brighton marina views. Cafe Rouge, Brighton Marina website. MOD Super Fast Pizza first opened its doors in downtown Seattle in 2008. 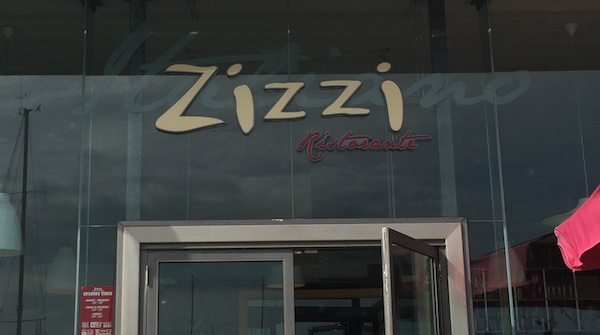 It was founded by Scott and Ally Svenson and inspired by their love of authentic Italian street pizza and the UK Mod movement of the 60s and 70s. 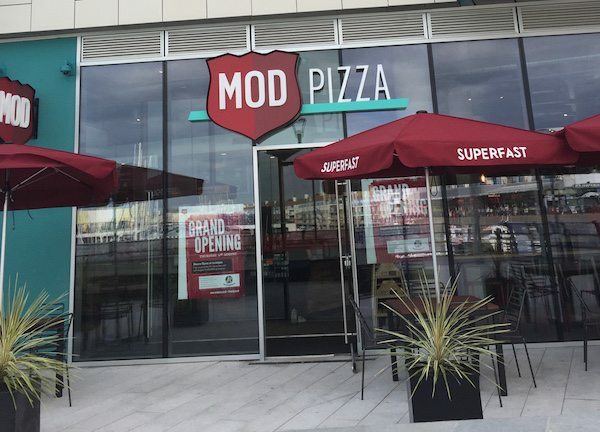 MOD Pizza arrives in Brighton in the summer of 2016 as a relative newcomer to Brighton’s thriving pizza scene. 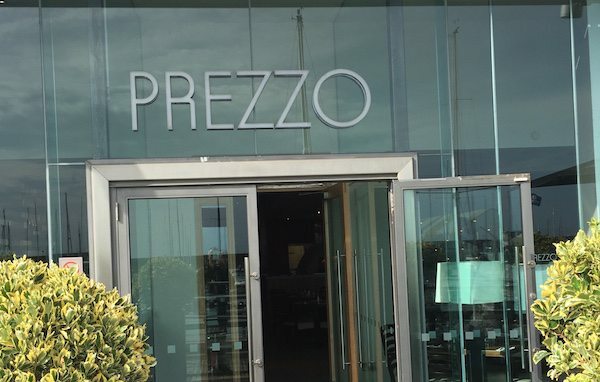 Expect great seafront views and affordable Italian style pizza dining. 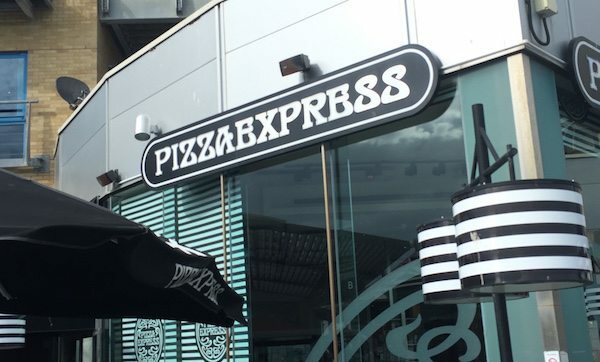 Chain pizzeria where chefs in striped t-shirts toss handmade pizzas.Pizza Express also has another pizzeria in Brighton’s historic Lanes. 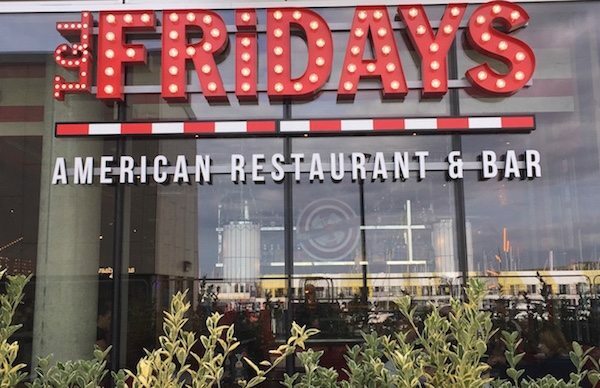 TGI Friday’s is an American restaurant chain focusing on casual dining and has been very popular for over a decade. 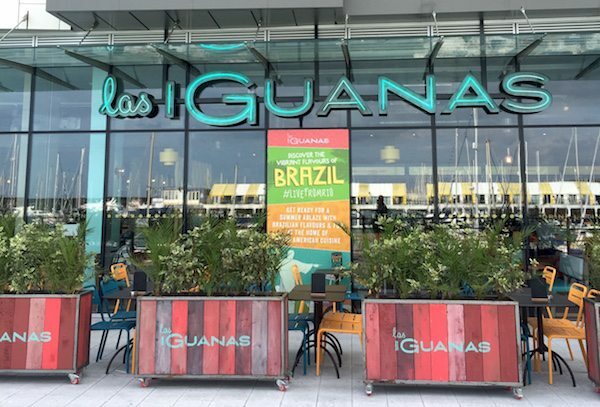 Flame-grilled Latin American dishes and shared plates served in a contemporary chain dining room. A sister venue to Brighton’s original on Jubilee Square in central Brighton. 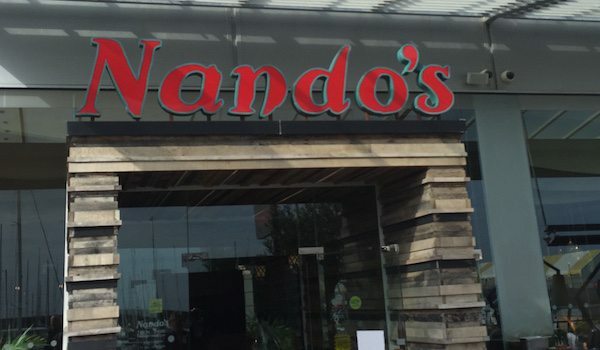 Afro-Portuguese chain restaurant serving flame-grilled chicken in spicy chilli sauce. Their second venue in Brighton, the second of which is on Brighton’s popular Duke Street. Waterfront Wetherspoon local with tiled floor and beams, offering pub menu meal deals and real ales. 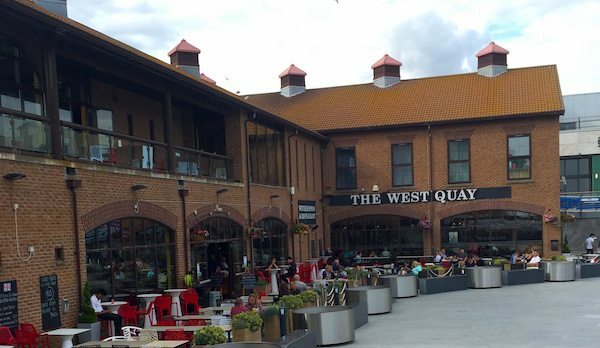 The West Quay has recently benefitted from a huge makeover as part of the Brighton Marina redevelopment and now comes with a huge south east facing waterfront terrace. Chain restaurant with classic wooden decor, serving gourmet British beef, chicken or veggie burgers. The second GBK in Brighton, the first of which is on Gardener Street in the North Laine which has been here for some years. Casual Italian chain restaurant for stone-baked pizzas and classic pastas, plus separate kids’ menu. Alfresco dining available with excellent waterfront views. 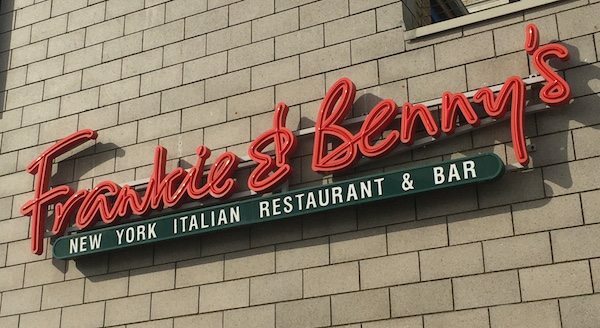 Italian restaurant chain for pizza and calzone on wooden boards, plus traditional pastas. Seafront views and Brighton Marina alfresco dining. Bubbly chain venue for Italian pasta, pizza and grill dishes, with a special children’s menu. Alfresco dining, Brighton waterfront views and east facing dining. 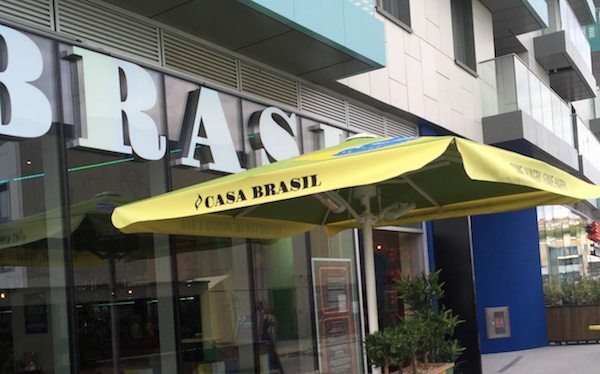 Casa Brasil is an authentic Brazilian style rodizio dining experience. Set price for a dining experience which includes unlimited trips to the salad bar and meat chefs who bring and serve grilled meat at your table as many times as you like. Great for group dining. Incredible end of terrace panoramic views over looking Brighton’s Marina harbour walls and beyond. Chain restaurant serving Italian and American comfort-food classics in a family-friendly atmosphere. Open 9am to 11pm daily. 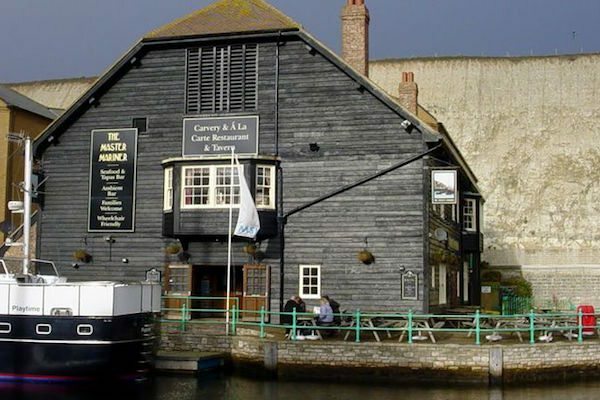 Located to the rear of Brighton’s big marina at the foot of the white cliffs. 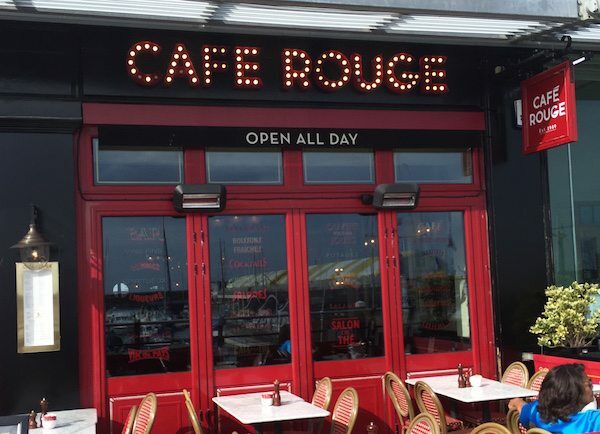 A shining light in Brighton Marina, with locally sourced fantastic food and a warm welcome. The Master Mariner serves a traditional English menu with a modern flare.